There is a small interview that was published in September issue of Imagine FX. The magazine is dedicated to digital art with a lot of tips, technical article, interviews or tutorials from professionals in the digital field. 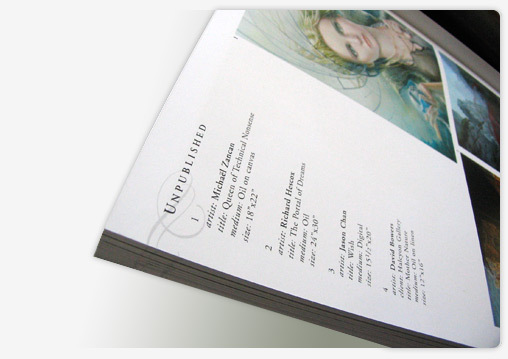 However, they showcase a couple traditional artists' work in each issue. 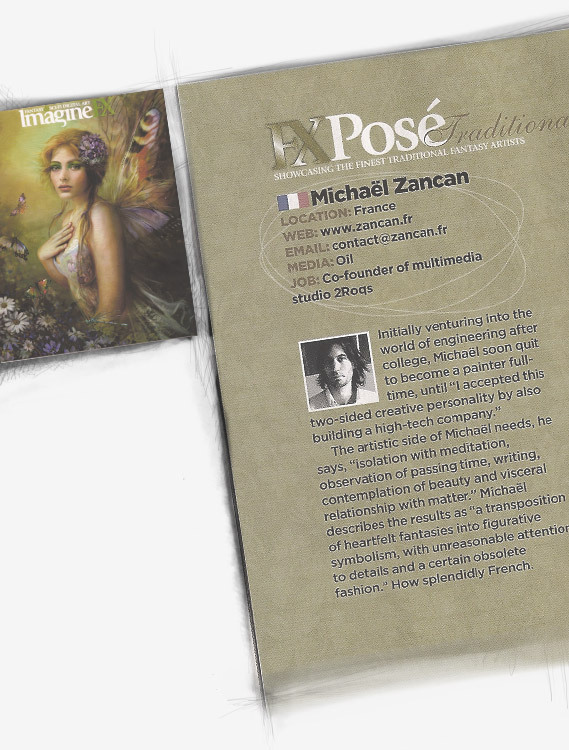 The two artworks they selected were somewhat related to this issue's theme, which was "fairy art". Though I undoubtedly deviated from the fantasy themes lately, it is still refreshing to be part of the enthusiasm of the genre. I am wondering what "splendidly french" means. 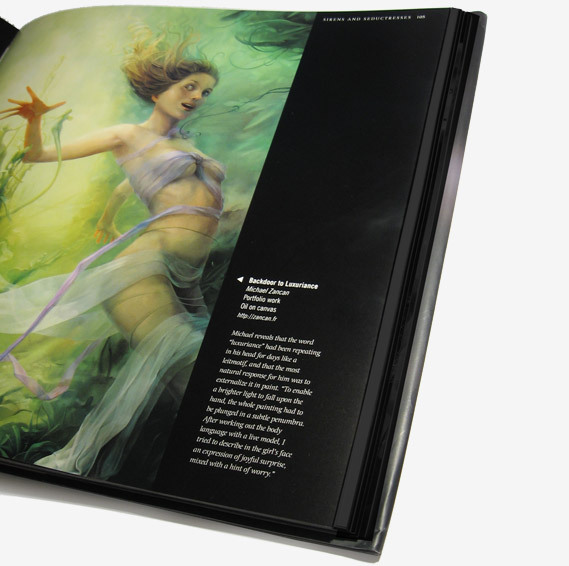 I had the chance to have 3 of my paintings featured in the book Fantasy Art Now by Martin McKenna, published by Ilex Press. Martin has selected artworks from the "leading fantasy artists and rising stars", and has contacted and invited the artists personally. Backdoor Into Luxuriance, Tears of Joy in the Garden of Giants and Purple Spattered Memories appear in the book at generous size. Some are slightly cropped but it's barely noticeable. I am very satisfied with the quality of the book, the fidelity of the colors, or the way the images are emphasized and valued. Moreover, each painting as some of the artist's thoughts as side notes, which give the images another dimension. Although the themes are mainly among the most common fantasy standards ( warriors, dragons and destructions scenes for instance), which is generally not my cup of tea, the quality of the art is not discussable. I enjoyed mostly more sensitive, dreamy artworks, such as Melanie Delon's or Rebecca Guay's to name the ladies first.